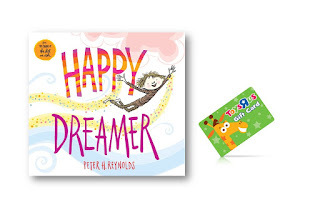 Disclosure: Thank you @Scholastic for the Happy Dreamer Copy and for providing the prize pack! 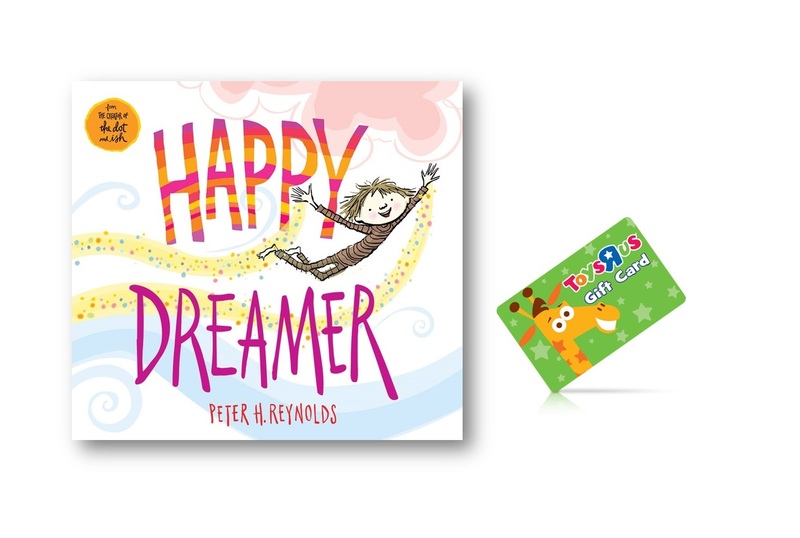 In the same spirit as OH, ALL THE PLACES YOU’LL GO!, the beloved, worldwide bestselling creator of The Dot and Ish inspires readers of every age to find their own unique path to happy, and to always follow their dreams with HAPPY DREAMER. Picture book and creativity guru Peter H. Reynolds brings us a universally poignant celebration of the colorful spectrum of what it means to dream and the many ways to find happy! 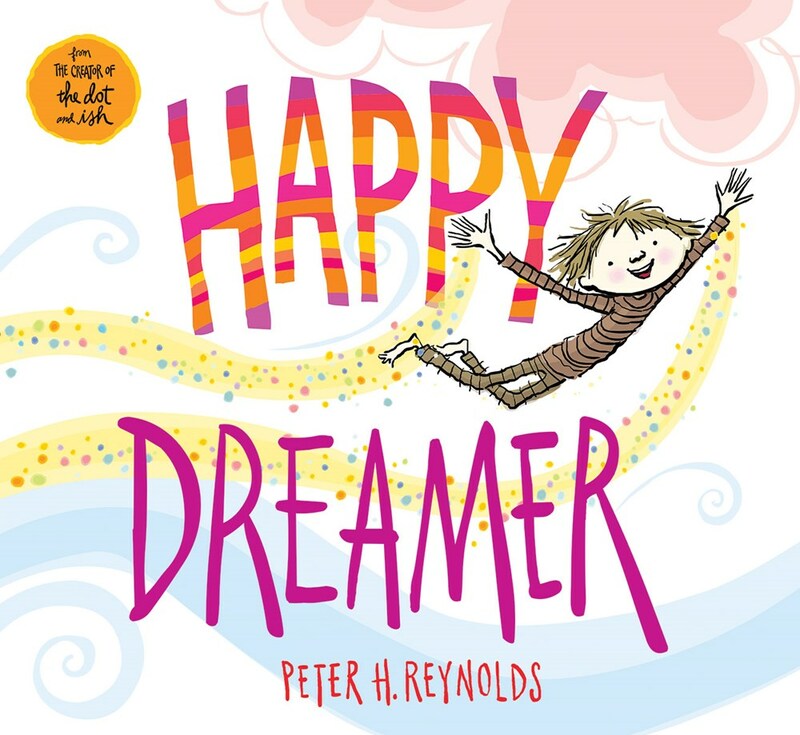 Peter H. Reynolds' latest inspirational book is a perfect gift for graduations, new babies, milestone moments, and any happy occasion throughout the year for any age! Peter is a New York Times bestselling children's book author and illustrator of many books for children, including the Judy Moody series, written by Meghan McDonald; The Dot; Ish; Sky Color; and Allison McGhee's Someday, selling more than two million books in over 25 languages around the globe. In 1996, he founded FableVision with his brother Paul as a social change agency to help move the world to a better place by creating "stories that matter, stories that move." He lives in Dedham, Massachusetts, with his family. To enter, comment on a dream you'd like to pursue. The deadline for entries is May 22, 2017 11:59pm HST. I have always wanted to travel the world. One dream I'd like to pursue is travel to Australia! I like you on Facebook - Janet Watson. I follow Scholastic on Instagram lundstromjulie. I liked Scholastic on facebook Julie Lundstrom. I would like to open a food truck. My dream s to become a psychologist. My dream is ,in emulation of Japanese karate, to break cinder blocks with my bare fists. I believe I can accomplish this without a dojo or consulting a sensei. I would like to pursue my dream of playing the cello. I dream to retire in Hawaii. I would say a dream of opening up a cupcake shop would be the thing for me. I am now following you on bloglovin as barb. Follow you on Twitter @susanlanai. 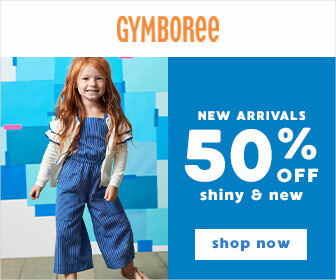 Like Hawaii Mom Blog on Facebook as susan chew. I follow Scholastic on Twitter @susanlanai. I would love to go to culinary school someday. I love love love to cook. My dream is to travel to Italy to explore my roots. My dream is to visit Europe. My biggest dream would be to go back, finish college, and get my doctorate. Somewhere in there, a trip to Australia would be the next dream. I'd like to pursue my dream of being a nurse. I'd like to pursue my dream of entering the medical field in some form. My dream is to own my own business someday. I would like to travel the world. I'd like to travel all over Europe. My dream is to stay in a castle in Scotland or Ireland! I would like to travel to Ireland and England. One of my dreams is to travel the country. I'd love to see more of the US. I would love to travel back to Germany where my hubby and I spent our first two years of marriage 29 years ago! I always dreamed of being an actress. I'd like to travel to Europe one day. A dream I would love to pursue is going back to Germany with my husband where we spent the first two years of marriage 29 years ago! I'd love to pursue my dream of sailing through the British Virgin Islands. my dream is to open my own business. i would love to pursue it. Liked Scholastic on Facebook as Laur Uda.